Such a feminine design! 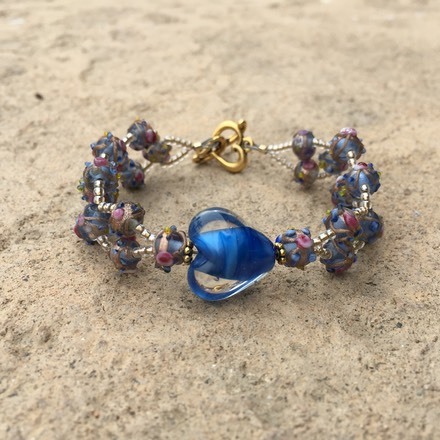 This bracelet has an amazing Blue Lampwork Glass heart as the focal point. 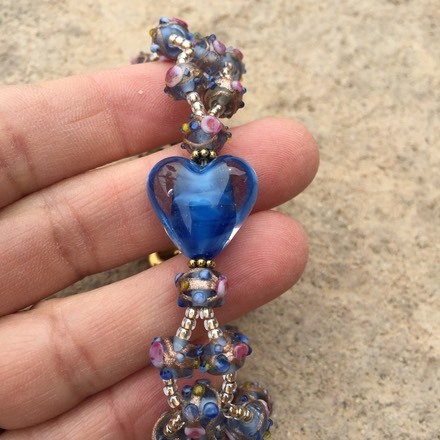 It is surrounded by flowered lampwork glass beads. 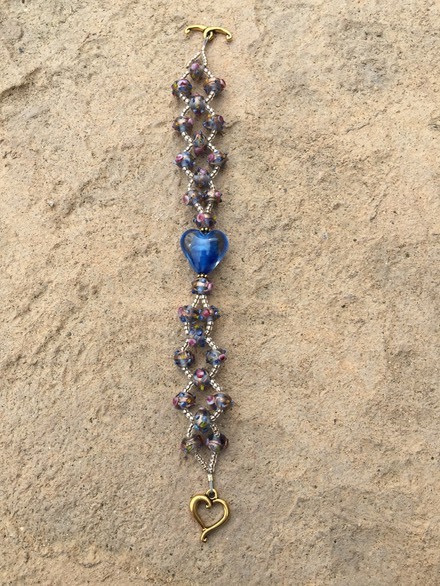 Heart Toggle Clasp is the cherry on top! 7" long.